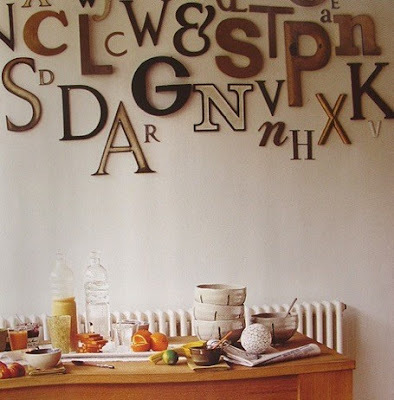 I have always loved the look of vintage typography on walls. Especially when you mix and match the styles, colors, and sizes. 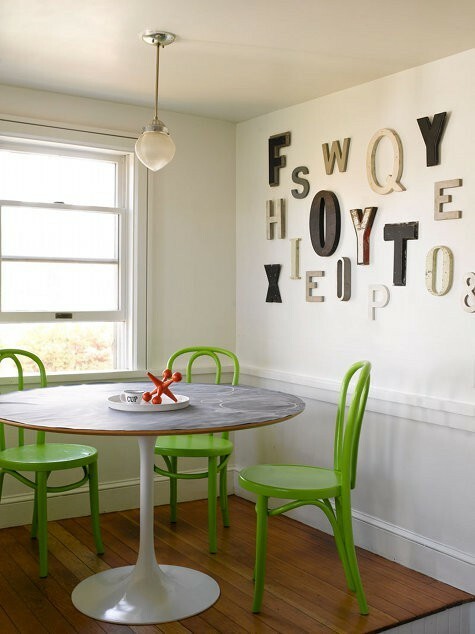 You can mix new in with old too for an eclectic look. I love how the M is a different color here. 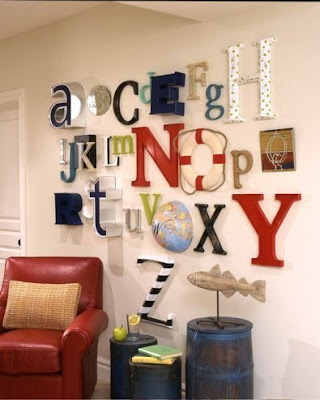 Sticking with a color scheme, these random letters make a great wall grouping, and is something more unexpected than the regular prints on the wall. This look works well in a traditional space, as well as a modern space. And here is something new to me. 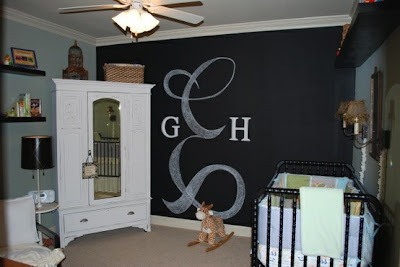 Mix letters on your chalkboard wall to spell things out! I have just updated my etsy shop with a few vintage letters. 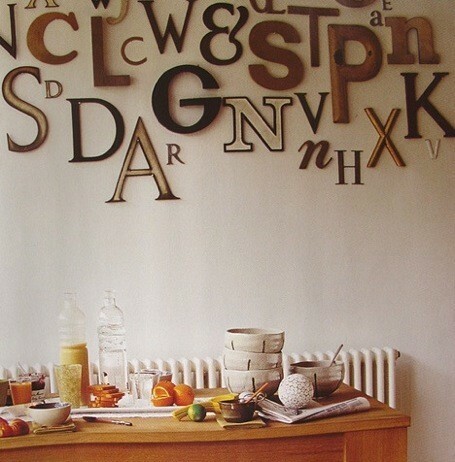 These would also be fun to mix in with my scrabble tiles found here. I can't tell you how much I love this idea! 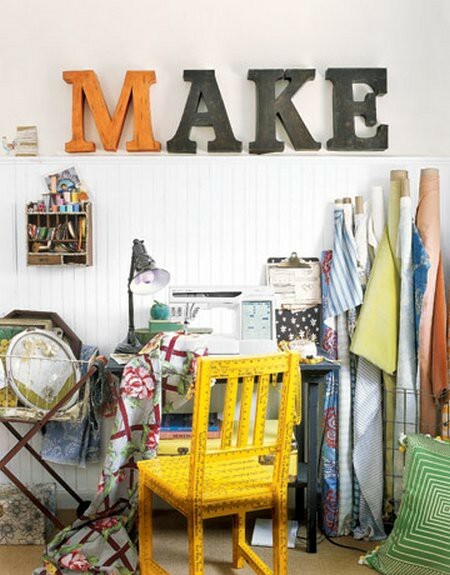 It's so creatively open and inspiring! 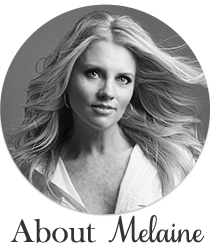 Thanks for the amazing idea and blog post :) I even mentioned it on my art page! I love the letters on the wall, I think they would look so cool in an office.